This Giant Snipe, near Boa Nova National Park, was simply massive! The white belly and powerfully patterned upperparts distinguish it from other sizable snipe of South America such as Imperial, Andean, and Fuegian (none of which occur in Brazil), and Giant dwarfs the smaller, widespread South American Snipe. 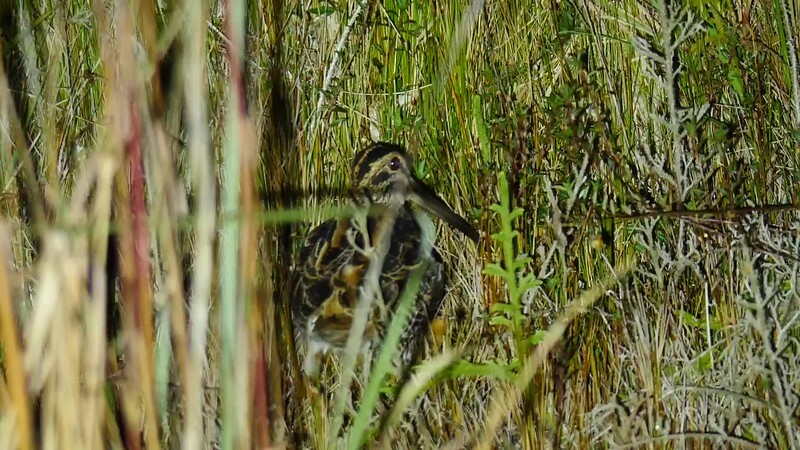 This individual was subspecies gigantea, the largest snipe in the world! Video by Bret Whitney, with the whole tour group right beside him!